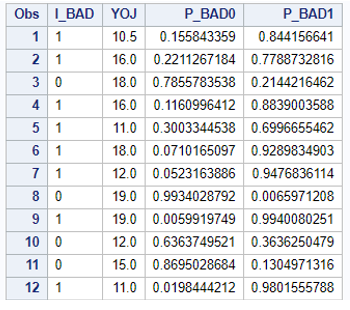 One of the most exciting features from the newest release of Visual Data Mining and Machine Learning on SAS Viya is the ability to perform Market Basket Analysis on large amounts of transactional data. Market Basket Analysis allows companies to analyze large transactional files to identify significant relationships between items. While most commonly used by retailers, this technique can be used by any company that has transactional data. For this example, we will be looking at customer supermarket purchases over the past month. Customer is the Transaction ID; Time is the time of purchase; and Product is the item purchased. The data must be transactional in nature and not aggregated, with one row for each product purchased by each customer. With our data ready, we can now perform the analysis using the MBANALYSIS Procedure. As illustrated below in SAS Studio, by specifying pctsupport=1, we will only look at items, or groups of items, that appear in at least 1% of the transactions. For very large datasets this saves time by only looking at combinations of items that appear frequently. This allows extraction of the most common and most useful relationships. The MBANALYSIS procedure outputs a list of significant relationships, called Association Rules, by calculating the LIFT metric. A lift greater than one generally indicates that a Rule is significant. By default, each relationship has two items, although this can be changed to include multiple items. Below is a screenshot of the ten most important rules. The first item in the rule is the “Left Hand Side” and the second item after the arrow is the “Right Hand Side.” For the first rule, we can see that coke and ice cream appear together in 220 transactions and have a lift of 2.37, meaning purchasing Coke makes the purchase of ice cream about twice as likely. While Association Rules above give powerful insights into large transactional datasets, the challenge is exploring these rules visually. One way to do this is by linking the rules together via a Network Diagram. This allows users to see the relationships between multiple rules, and identify the most important items in the network. The following SQL code prepares the data for the Network Diagram. Network Diagrams plot a set of “Source” values (T1_ITEM), and connects them to a “Target” value (ITEM2). If the source value represents the left hand side of the rule, the corresponding right hand side of the rule is listed as the Target variable. We will use the “Lift” value to link these source and target variables. If the target value is the right hand side of the rule, the target and the lift are missing. This allows us to plot the product, but no linkage will be made. Now, my data is ready to be visualized as a Network Diagram. 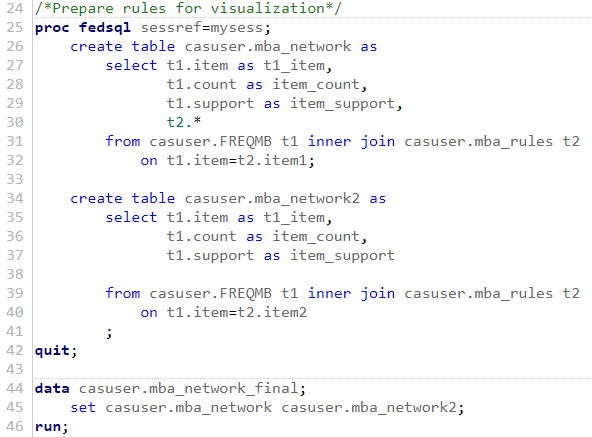 Using the following code, I am able to promote my Association Rules, making this dataset available via SAS® Visual Analytics. Now, I am able to quickly and easily generate my Network Diagram without having to create any code. Hovering over a node allows me to see specific information about that particular item. 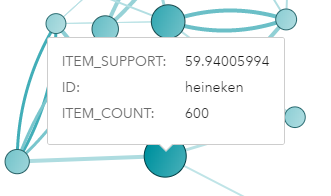 Here, we can see that Heineken was purchased in 59.9% of all transactions, which is 600 transactions. Hovering over the linkage, we can see specific information about the rule. 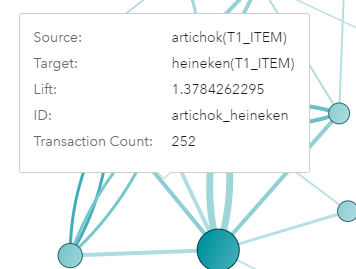 Below, we can see that purchasing artichoke (artichoke) makes the purchase of Heineken about 38% more likely. Many other rules link to Heineken, showing its importance in the network. Business Unit Experts can use this diagram as a starting point to analyze selling strategies to make proper adjustments for the business. The Market Basket Analysis procedure in Visual Data Mining and Machine Learning on SAS Viya can help retailers quickly scan large transactional files and identify key relationships. These relationships can then be visualized in a Network Diagram to quickly and easily find important relationships in the network, not just a set of rules. As transactional data, whether in-store, online, or in any other form gets bigger, this Market Basket functionality is a must have weapon in the analytical toolkit of any business. 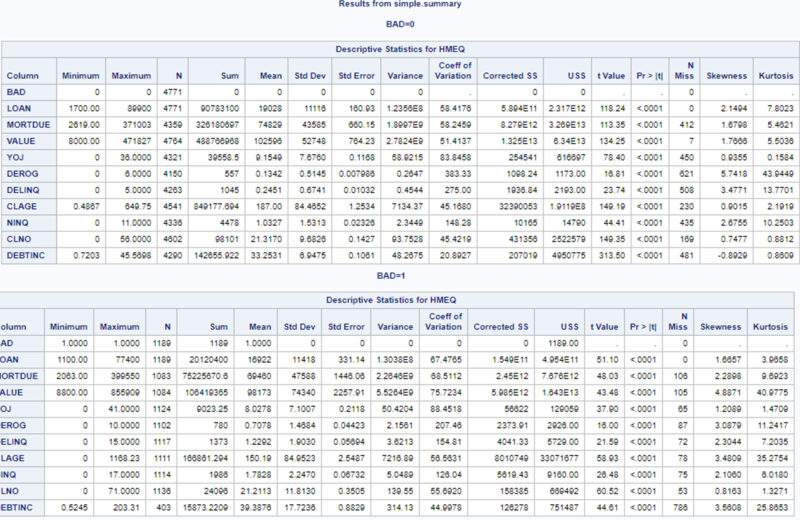 Visualizing the results of a Market Basket Analysis in SAS Viya was published on SAS Users. 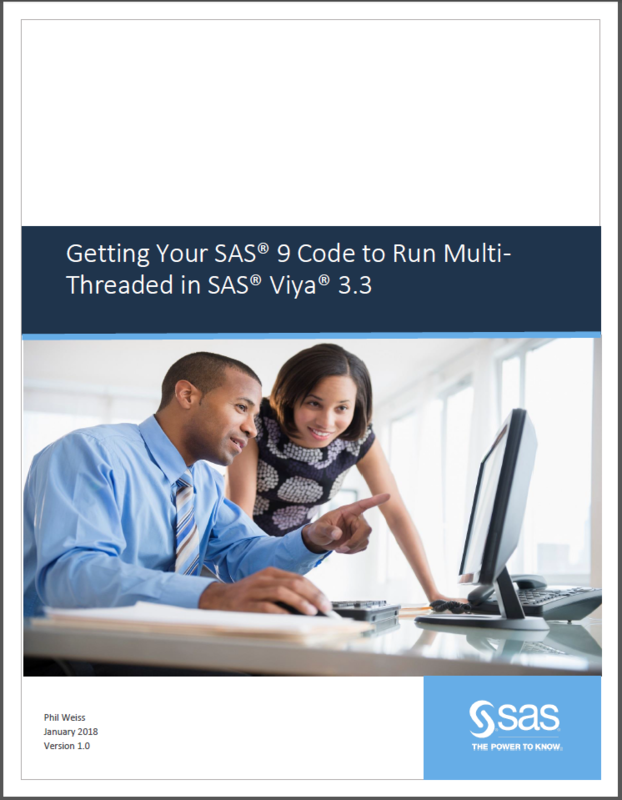 In this article, I want to give you an overview of the authentication options available with SAS Viya 3.3. SAS Viya 3.3, released in the second week of December 2017, and the second release with the new microservices architecture, presents more options for authentication than the previous releases. In future posts, we will delve in to more detail for a select option. As the name suggests, the full deployment is a deployment of all the different components that make up the ordered SAS Viya 3.3 product or solution. This includes the SAS Viya runtime engine, CAS (Cloud Analytic Services), the microservices, stateful services, and foundation components used by SAS® Studio. The programming only deployment more closely resembles the deployment we saw in an earlier release; so, this includes CAS and all the parts for SAS Studio to function. A programming only deployment does not include the microservices and stateful services. The only interaction with CAS is via SAS Studio and the code end-users run within this. Following on from the type of deployment, we can classify the end-user interfaces used to access SAS Viya 3.3. The interface could be a visual interface or a programming interface. 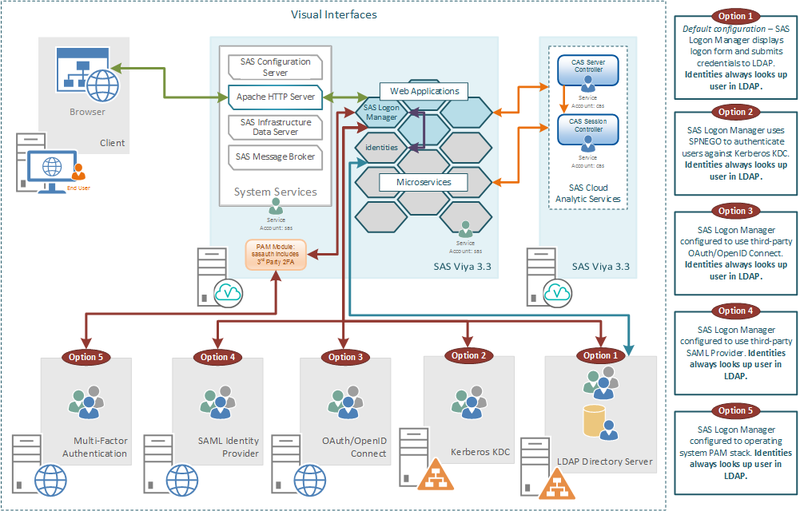 For a visual interface, we group all the SAS Viya 3.3 web applications, excluding SAS Studio. For a programming interface we mean SAS Studio. Equally within programming interface, when we say a programming interface accesses CAS we could also mean the Python, Lua, R or Java interfaces. Similarly, as of the fifth maintenance release of SAS 9.4 we can interact directly with CAS. Previously, this interaction was based around the use of SAS/CONNECT® and remote submitting code to the SAS Viya programming interface. With SAS 9.4 M5, we can now directly connect to CAS from the SAS foundation. So, a third type of interface for us to consider is the SAS 9.4 M5 client. As we know with SAS Viya 3.3, the way the end-user authenticates to the visual interfaces is via the SAS® Logon Manager. The SAS Logon Manager is accessed via the HTTP Proxy. The following picture summarizes the options for authenticated to the SAS Logon Manager in SAS Viya 3.3. The identities microservice always must connect to an LDAP provider to obtain user and group information. This LDAP provider could be Microsoft Active Directory or any other LDAP provider such as OpenLDAP. Option 1 is the default authentication mechanism enabled out-of-the-box for SAS Viya 3.3 is the LDAP Provider. 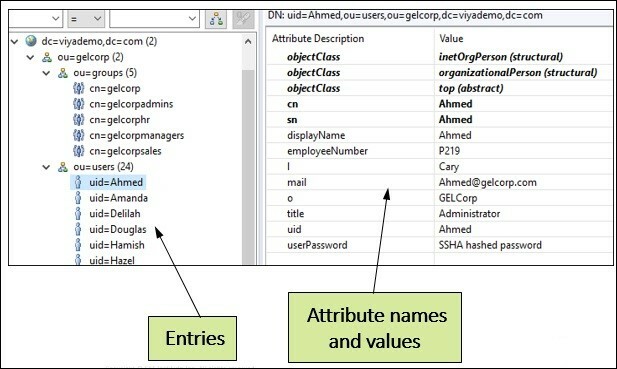 The same connection details used by the identities microservice are used by SAS Logon Manager to authenticate the credentials the end-user enters in the logon form. From a security perspective, we need to be concerned about what network connections these end-user credentials will be sent over. First, we have the network connection between the browser and the HTTP proxy, which is secured by default with HTTPS in SAS Viya 3.3. Then we have the network connection between SAS Logon and the LDAP Provider, here we can support LDAPS to encapsulate the LDAP connection in standard TLS encryption. Option 2, as shown in the diagram, is to configure SAS Logon Manager for Kerberos authentication. This provides the end-user with Single Sign-On from their desktop where the browser is running. This is sometimes referred to as Integrated Windows Authentication (IWA). This will enable the end-user to access the SAS Viya 3.3 visual interfaces without being prompted to enter any credentials. However, it is important to remember that the identities microservice will still be connecting to the LDAP provider. The Kerberos authentication option completely replaces the option to use the default LDAP provider for the SAS Logon Manager. Introduced with SAS Viya 3.3 is the option to delegate the credentials from SAS Logon Manager through to CAS; more on this option below. Option 3 enables the SAS Logon Manager to be integrated with an alternative OAuth/OpenID Connect provider. This provider could be something internal to the customer’s wider environment or could be external to the customer, such as Google Auth of Facebook. When the OAuth/OpenID Connect option is configured this does not completely replace the default LDAP provider. 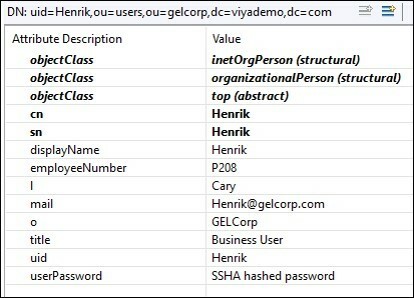 Instead when the end-user accesses the SAS Logon Manager they are presented with a link to authenticate using OAuth/OpenID Connect and the standard login form using the LDAP provider. The end-user can then select which to use. This option can provide single sign-on from the OAuth/OpenID Connect provider;for example, sign into your Google account and access the SAS Viya 3.3 visual interfaces without further prompting for credentials. Custom code can be added to the SAS Logon Manager login form that automatically links to the external OAuth/OpenID Connect provider. This makes the single sign-on more seamless, since there is no need to select the link. 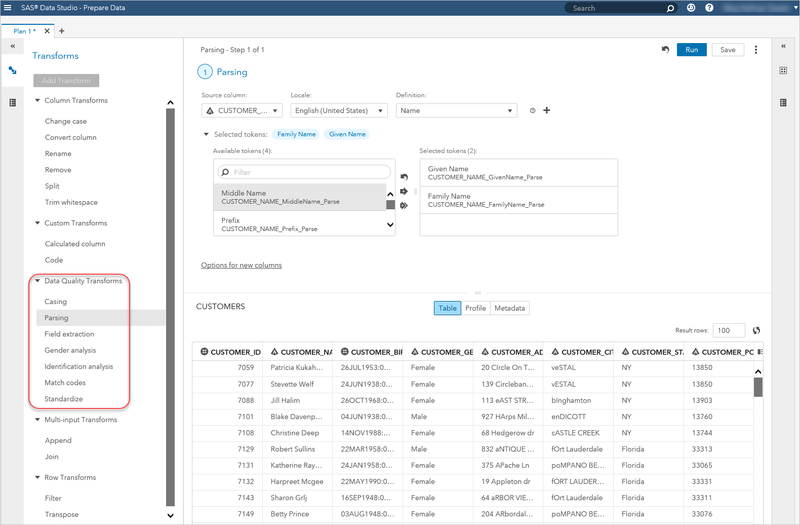 Option 4 supports configuring the SAS Logon Manager to be integrated with an external SAML Identity Provider. This SAML Identity Provider could be internal or external to the customer’s wider environment. If it is internal it could be something like Oracle Access Manager or Active Directory Federation Services, whilst if its external it could be something like salesforce.com. Again, like option 3, the use of SAML does not completely replace the default LDAP provider. End-users accessing the SAS Logon Manager will be able to choose SAML authentication or the default LDAP provider. Also, this option provides single sign-on with the third-party SAML provider. Custom code can be added to the SAS Logon Manager login form that automatically links to the external SAML provider, making the single sign-on more seamless, since there is no need to select the link. Option 5 supports the use of Multi-factor authentication with SAS Logon Manager. This is a new option (with SAS Viya 3.3) and requires the configuration of a third-party Pluggable Authentication Module (PAM). This PAM module is the part of the system that integrates with the multi-factor authentication provider such as Symantec’s VIP. The PAM module authenticates the end-user by causing the third-party to push an out-of-band validation request to the end-user. Normally, this would be a push message to a smart phone application, approving the request forms the additional factor in the authentication of the end-user. When an end-user enters their username and password in the SAS Logon Manager form they are checked against the PAM provider. This means this option replaces the LDAP provider, just as with Kerberos. For all five options listed above, the connection to CAS is performed using internal OAuth tokens generated by the SAS Logon Manager. In most cases the actual session started by the CAS Controller will now run on the operating system as the same user who launched the CAS operating system service. This account defaults to the name cas. The exception to this is Option 2: Kerberos with delegation. In this case while an OAuth token is generated and initially used to connect to CAS a second authentication takes place with the delegated Kerberos credentials. This means that the CAS session is started as the end-user and not the user who launched the CAS operating system service. Now we’ve looked at the visual interfaces for SAS Viya 3.3, what about the programming interfaces or SAS Studio? Unlike SAS 9.4, SAS Studio with SAS Viya 3.3 is not integrated with the SAS Logon Manager. The following diagram illustrates the case with SAS Studio. 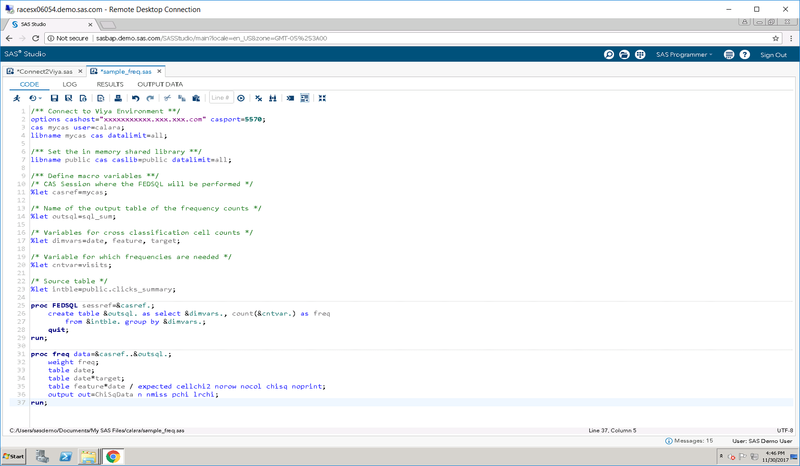 SAS Studio in the full deployment is integrated with the HTTP Proxy, so with SAS Viya 3.3 end-users do not directly connect to the SAS Studio web application. However, the username and password entered into SAS Studio are not passed to the SAS Logon Manager to authenticate. 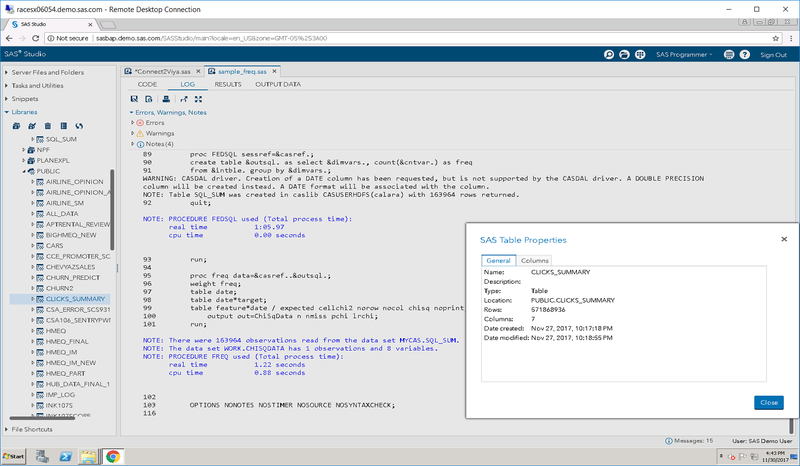 Instead the SAS® Object Spawner uses the PAM configuration on the host to validate the username and password. This could be a local account on the host or, depending on the PAM configuration, an account in an LDAP Provider. This authentication is sufficient to start the SAS® Workspace Server where the code entered in SAS Studio will be run. When the SAS Workspace Server connects to CAS it uses the username and password that were used to start the SAS Workspace Server. The CAS Controller uses its own PAM configuration to validate the end-user’s credentials and launch the session process running as the end-user. Since CAS is integrated into the visual components, and the username and password are passed from the SAS Workspace Server, the CAS Controller uses them to obtain an internal OAuth token from the SAS Logon Manager. This means that the username and password must be valid in the provider configured for the SAS Logon Manager otherwise CAS will not be able to obtain an OAuth token and the session launch will fail. to all use the same LDAP Provider. If these three components are not sending the username and password entered in SAS Studio to the same place we are likely to see errors when trying to connect. For a programming only deployment, we have SAS Studio and CAS but we don’t have any microservices or stateful services. So here all authentication is via the PAM configuration for SAS Studio and CAS. Since CAS knows there are no microservices, it does not attempt to obtain an internal OAuth token from the SAS Logon Manager, the same type of setup we had for SAS Viya 3.1. There are three main ways in which SAS 9.4 Maintenance 5 can integrate with CAS. First, if the SAS 9.4 M5 session has access to a Kerberos credential for the end-user, then Kerberos can be used for the authentication. For example, if Kerberos is used by the end-user to access the SAS 9.4 M5 client, such as a web application or SAS Enterprise Guide, the authentication can be delegated all the way through to CAS. Kerberos will then be used to authenticate to SAS Viya Logon Manager and obtain an OAuth token. Second, if the SAS 9.4 M5 session has access to the end-user’s username and password; either from the cached credentials used to launch the session, an authinfo file, or from SAS 9.4 Metadata, then these credentials can be used to authenticate to CAS. The username and password will be used to launch the CAS and obtain an OAuth token from SAS Viya Logon Manager. This will be like the programming approach we detailed above. Finally, for SAS 9.4 Maintenance 5 sessions which are not running as the end-user, we also have a solution. These sessions could be SAS® Stored Process or Pooled Workspace Server sessions, or even a SAS token launched workspace server. For these sessions, we can leverage the SAS® 9.4 Metadata Server to generate a one-time-password. This is the same way in which the SAS Stored Process itself is accessed. To be able to leverage the One-Time-Password with CAS, additional configuration is required in SAS Viya Logon Manager. SAS Viya Logon Manager must be configured with the details of the location of the URL for the SAS® 9.4 Web Infrastructure Platform. The services in the SAS 9.4 Web Infrastructure Platform will be used to validate the One-Time-Password. All this means that CAS can be accessed from a SAS 9.4 Metadata aware connection where end-user Operating System credentials are not available. I hope that this overview has provided some context to the different types of authentication happening within and to a SAS Viya 3.3 deployment. Understanding the types of authentication available will be important for helping customers to select the best options for them. In future blog posts, we’ll look at the different new options in more detail. SAS Viya 3.3 authentication options was published on SAS Users. 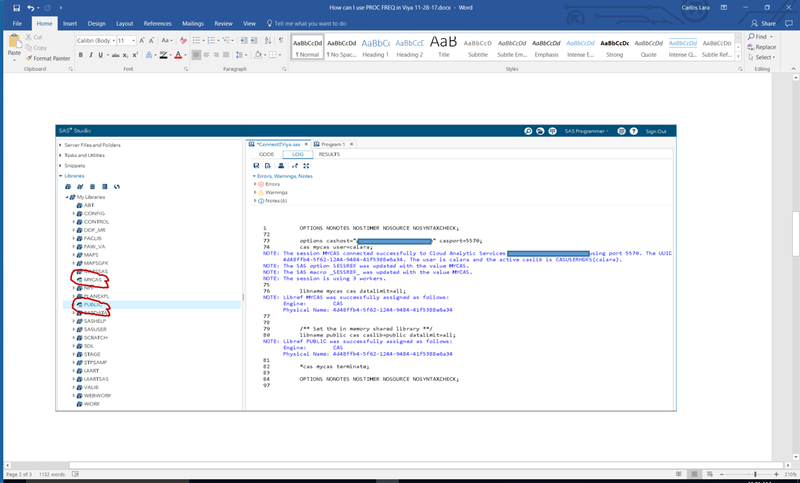 SAS Data Preparation 2.1 is now available and it includes the ability to perform data quality transformations on your data using the definitions from the SAS Quality Knowledge Base (QKB). The SAS Quality Knowledge Base is a collection of files which store data and logic that define data quality operations such as parsing, standardization, and generating match codes to facilitate fuzzy matching based on geographic locales. SAS software products reference the QKB when performing data quality transformations on your data. These products include: SAS Data Integration Studio, SAS DataFlux Data Management Studio/Server, SAS code via dqprocs, SAS MDM, SAS Data Loader for Hadoop, SAS Event Stream Processing, and now SAS Data Preparation which is powered by SAS Viya. Out-of-the-box QKB definitions include the ability to perform data quality operations on items such as Name, Address, Phone, and Email. Casing – case a text string in upper, lower, or proper case. Example using the Proper (Organization) case definition – input: sas institute output: SAS Institute. Parsing – break up a text string into its tokens. Example using the Name parse definition – input: James Michael Smith output: James (Given Name token), Michael (Middle Name token), and Smith (Family Name token). Field extraction – extract relevant tokens from a text string. Example using a custom created extraction definition for Clothing information – input: The items purchased were a small red dress and a blue shirt, large output: dress; shirt (Item token), red; blue (Color token), and small; large (Size token). Gender analysis – guess the gender of a text string. Example using the Name gender analysis definition – input: James Michael Smith output: M (abbreviation for Male). For more information on match codes, view this YouTube video on The Power of the SAS® Matchcode. Standardize – put a text string into a common format. Example using the Phone standardization definition – input: 9196778000 output: (919) 677 8000 . Note: While all the examples above are using definitions from the English (United States) locale in the SAS Quality Knowledge Base for Contact Information, QKBs are available for dozens of locales. 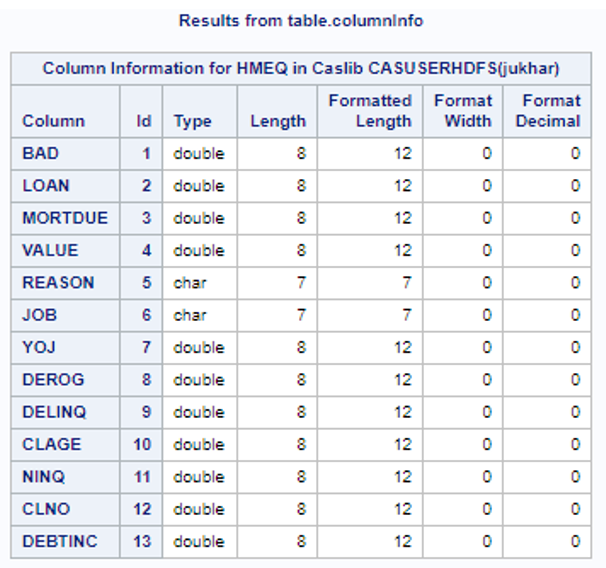 You can also customize the definitions in the QKB using SAS DataFlux Data Management Studio. This allows you to update the out-of-the-box QKB definitions or create your own data types and definitions to suit your project needs. For example, you may need to create a definition to extract the clothing information from a free-form text field as shown the Field extraction example. 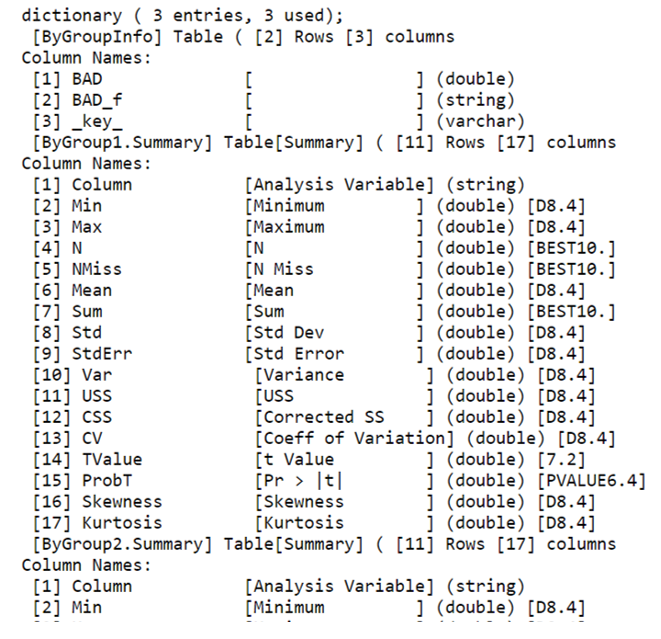 These customized definitions can then be used in SAS Data Preparation as part of your data quality transformations. For more information on Customizing the QKB, you can view this YouTube video. For more information on the SAS Quality Knowledge Base (QKB), you can view its documentation. SAS Data Preparation 2.1: Data quality transformations was published on SAS Users. PROC FREQ is one of the most popular procedures in the SAS language. It is mostly used to describe frequency distribution of a variable or combination of variables in contingency tables. However, PROC FREQ has much more functionality than that. 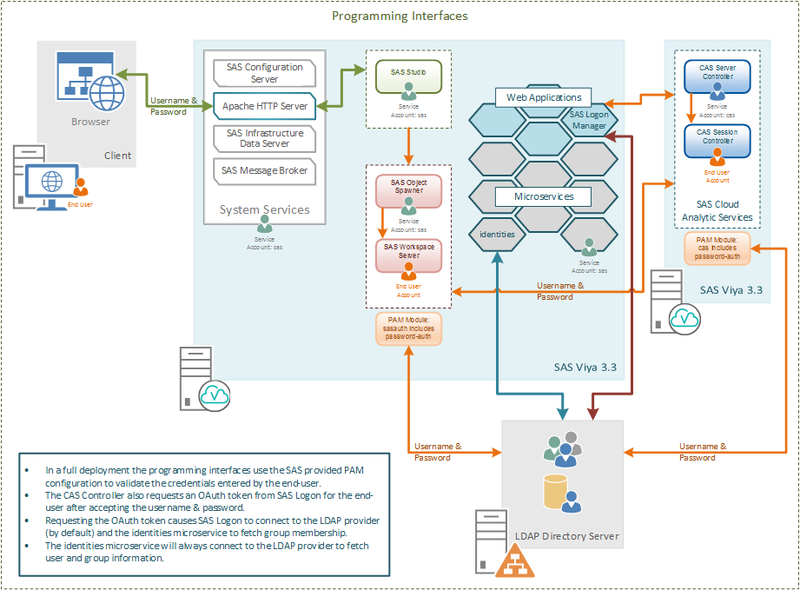 For an overview of all that it can do, see an introduction of the SAS documentation. SAS Viya does not have PROC FREQ, but that doesn’t mean you can’t take advantage of this procedure when working with BIG DATA. SAS 9.4m5 integration with SAS Viya allows you to summarize the data appropriately in CAS, and then pass the resulting summaries to PROC FREQ to get any of the statistics that it is designed to do, from your favorite SAS 9.4 coding client. In this article, you will see how easy it is to work with PROC FREQ in this manner. Define the CAS environment you will be using from a SAS 9.4m5 interface. 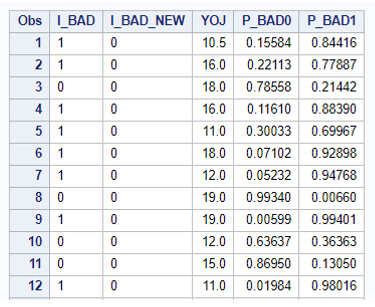 Identify variables and/or combination of variables that define the dimensionality of contingency tables. Load the table to memory that will need to be summarized. Summarize the data with a CAS enable procedure, use PROC FEDSQL for high cardinality cases. Write the appropriate PROC FREQ syntax using the WEIGHT statement to input cell count data. host <cas server name> port <number> user "<cas user id>" password "<cas user password>"
Figure 1 shows the log and libraries after connecting to the CAS environment that will be used to deal with Big Data summarizations. 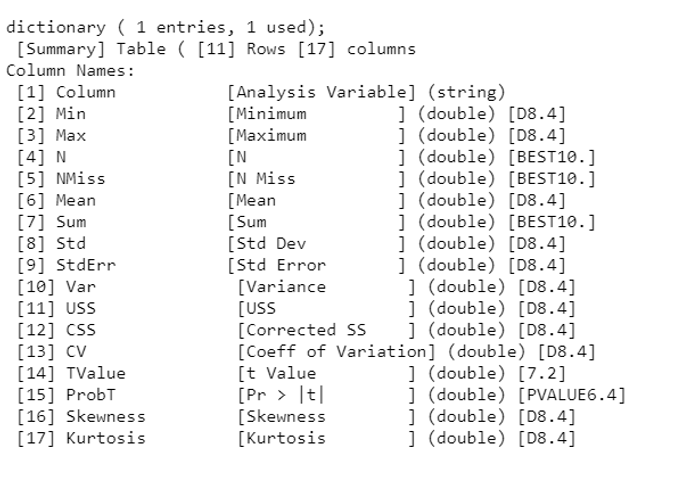 The variables here are those which will be use in the TABLE option in PROC FREQ. 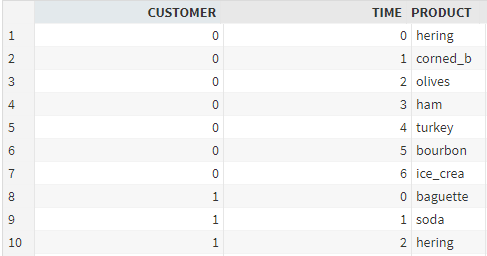 Also, any numeric variable that is not part of TABLE statement can be used to determine the input cell count. There are two options to do this. The first one is to load the table to the PUBLIC library in the SAS Viya environment directly. The second option is to load it from your SAS 9.4m5 environment into CAS. Loading data into CAS can be as easy as writing a DATA step or using other more efficient methods depending on where the data resides and its size. This is out of scope of this article. Summarizing data for many cross tabulations can become very computing expensive, especially with Big Data. SAS Viya offers several ways to accomplish this (i.e. PROC MEANS, PROC MDSUMMARY, PROC FEDSQL). There are ways to optimize performance for high cardinality summarization when working with CAS. PROC FEDSQL is my personal favorite since it has shown good performance. When writing the PROC FREQ syntax make sure to use the WEIGHT statement to instruct the algorithm to use the appropriate cell count in the contingency tables. All feature and functionality of PROC FREQ is available here so use it to its max! The DATA option can point to the CAS library where your summarized table is, so there will be some overhead for data transfer to the SAS 9 work server. But, most of the time the summarized table is small enough that the transfer may not take long. An alternative to letting PROC FREQ do the data transfer is doing a data step to bring the data from CAS to a SAS base library in SAS 9 and then running PROC FREQ with that table as the input. Figure 2 below shows a sample program on how to take advantage of CAS from SAS 9.4m5 to produce different analyses using PROC FREQ. Figure 3 shows the log of the summarization in CAS for a very large table in 1:05.97 minutes (over 571 million records with a dimensionality of 163,964 for all possible combinations of the values of feature, date and target). The PROC FREQ shows three different ways to use the TABLE statement to produce the desired output from the summarized table which took only 1.22 seconds in the SAS 9.4m5 environment. PROC FREQ for Big Data was published on SAS Users. In SAS Viya, deployments identities are managed by the environments configured identity provider. In Visual SAS Viya deployments the identity provider must be an LDAP (Lightweight Directory Access Protocol) server. Initial setup of a SAS Viya Deployment requires configuration to support reading the identity information (users and groups) from LDAP. SAS Viya 3.3 adds support for multi-tenancy which has implications for the way users and groups must be stored in LDAP. For the SAS Administrator, this means at least a rudimentary understanding of LDAP is required. In this blog post, I will review some key LDAP basics for the SAS Viya administrator. A basic understanding of LDAP l ensures SAS Viya administrators can speak the same language as the LDAP administrator. LDAP basics for the SAS Viya administrator was published on SAS Users. Interacting with the results of PROC CAS was published on SAS Users.